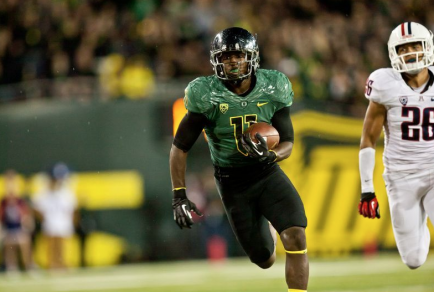 Is Bralon Addison Going to Play? As we all now know, the Ducks flew to Los Angeles on Christmas Day to start their game-week preparation. Center Hroniss Grasu made big headlines, as he was seen practicing in pads for the first time since injuring his leg against Utah on November 8th. Running back Thomas Tyner has been seen practicing as well, despite suffering through a multitude of injuries towards the end of the season. 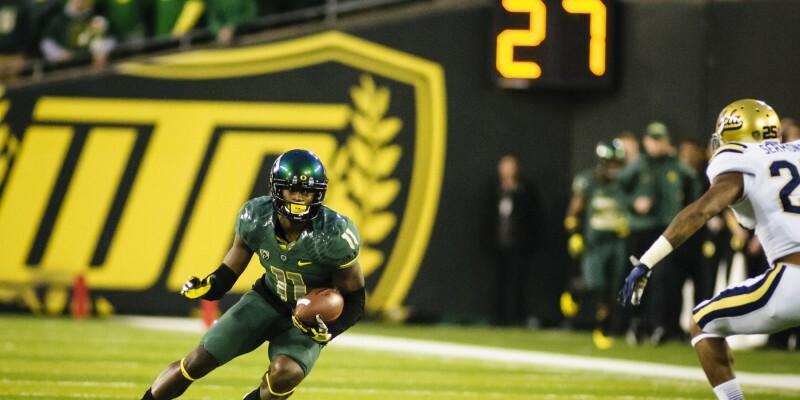 Yesterday, the Ducks took part in a typical practice, and as reported by Andrew Greif of oregonlive.com, injured playmaker Bralon Addison was there practicing, as well. Shocking to some, but welcoming news to others, Addison made the trip to Los Angeles with his team. He was seen practicing and taking part in team drills, as he he is still working on recovering from a torn ACL suffered during Spring ball this past year. Addison has been hinting at some sort of a return, via his social media for the last few weeks. Oregon might be famous for its logo and fast offense, but it’s also known for not releasing injury reports. We might not find out if Addison will play until right before the game, but it’s fun to sit here and speculate and wonder what if. If Addison suits up and plays against Florida State on New Year’s Day, he and the staff will have committed to pulling his red-shirt, meaning his entire year could be summed up in a single post-season game. Having Addison back would provide another playmaker on offense, as if Heisman winner Marcus Mariota really needs more weapons. Even though Addison took part in practice wearing a signature “no contact” red jersey, this might be a sign that he is trying to play against the Seminoles. Stay tuned to FishDuck.com, as we will continue to keep you updated as the Ducks inch closer and closer to the Rose Bowl on New Year’s Day.